Dr. Edward C Ray, MD is a Doctor primarily located in Los Angeles, CA. He has 21 years of experience. His specialties include Plastic Surgery and Surgery. He speaks English. Dr. Ray has received 6 awards. The overall average patient rating of Dr. Edward C Ray is Excellent. Dr. Edward C Ray has been rated by 41 patients. From those 41 patients 34 of those left a comment along with their rating. The overall rating for Dr. Edward C Ray is 4.7 of 5.0 stars. Dr. Ray deserves an Above and Beyond award. He's very compassionate of what he does. He takes his time to explain everything in detail. He's very knowledgeable and understands the needs of his patients. I had double mastectomy, and very happy with the overall results. I had breast reconstructive surgery done by Dr. Ray after my breast cancer partial mastectomy. I was devastated. Dr. Ray not only restored my breast, but gave me back my confidence. He did such great job. Because of him I feel so much better now. He is amazing, compassionate, smart, great bed manners. Simply the best! Dr. Ray spent a lot of time explaining the procedure in detail. Showed me pictures. I can't say enough good things about him. I'm very pleased and extremely grateful. Thank you Dr. Ray. You rock! Best Plastic Surgeon. Compassionate, Understanding, Professional. Great bedside manners. Knowledgeable. Outstanding. I did my research, went to several consults before choosing Dr. Ray. He explained everything and spent so much time with me. He's the best. Very happy I had the tummy tuck procedure done, because it looks fantastic ! Dr. Edward Ray is a dual-board certified plastic surgeon committed to helping people realize their aesthetic goals. He has unparalleled training and expertise in surgery of the face, body and breast. Dr Ray is known for his kind, compassionate nature and skill for achieving natural-appearing results. At Southpoint Plastic Surgery and Aesthetics, we provide a wide range of surgical and nonsurgical aesthetic options. Dr. Ray has assembled a highly talented team of experts, allowing us to offer each client an individualized approach to finding solutions that fit their lifestyle and meet their goals. 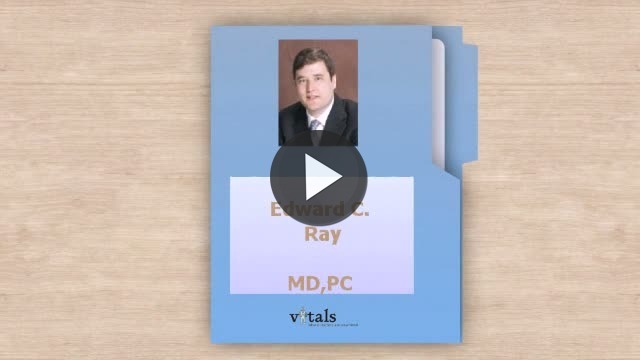 Take a minute to learn about Dr. Edward C Ray, MD - Plastic Surgery in Los Angeles, CA, in this video. Dr. Edward C Ray is similar to the following 4 Doctors near Los Angeles, CA. Have you had a recent visit with Dr. Edward C Ray? Select a star to let us know how it was.